This is an extremely rare compilation of the Scott Adams adventures. 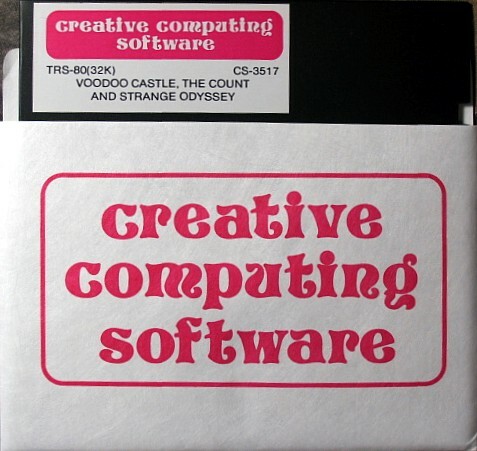 For a short time Creative Computing magazine published some of AI's games at the same time as they were publishing them. Even Scott himself says he has never seen this artwork before, and remembers them only doing cassette versions! 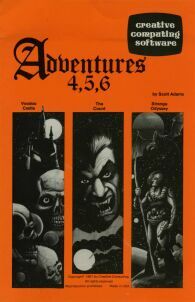 Interestingly no credit is given to Adventure International anywhere on the packaging either. It is not known if adventures beyond the first 6 were sold by Creative Computing.